There are 2 different rodents you are most likely to find around your house: mice and rats. They may be cute in photos and pet stores, but these pests are not ones you want to keep around your home! Rodents can be carriers of diseases and they tend to cause quite a bit of damage to your home. While you may not think having a mouse or rat in or near your home is a big deal, you want to get rid of them ASAP. Both rodents can be carriers of diseases like Hantavirus, Salmonella and tapeworms. They can also introduce fleas and mites to your home, which then becomes another infestation that is hard to clear out! Knowing what to look for will help you determine what sort of furry friend is making themselves at home, and know what steps to take to get rid of them. The most obvious signs of a mice or rat in your home is finding their droppings. Even a single mouse can produce a large number of droppings, so keep your eyes open for them. Another way to spot an infestation is finding holes in boxes, walls, clothing and wires. Mice have been known to start electrical fires by chewing on wires inside homes! But why did they choose MY home? Rodents are creatures of opportunity. If they can find a hole to get in—some only need one the size of a dime—they will! Mice often enter your home looking for shelter and food, and stick around if the conditions are favourable to them. Rodents like to hide in clutter so keeping storage spaces clean with boxes kept off the floor will help discourage them from staying. Making sure all food is stored in sealed, rodent proof containers is also helpful. Baited traps are likely the most effective way to remove a rodent from your home or property. 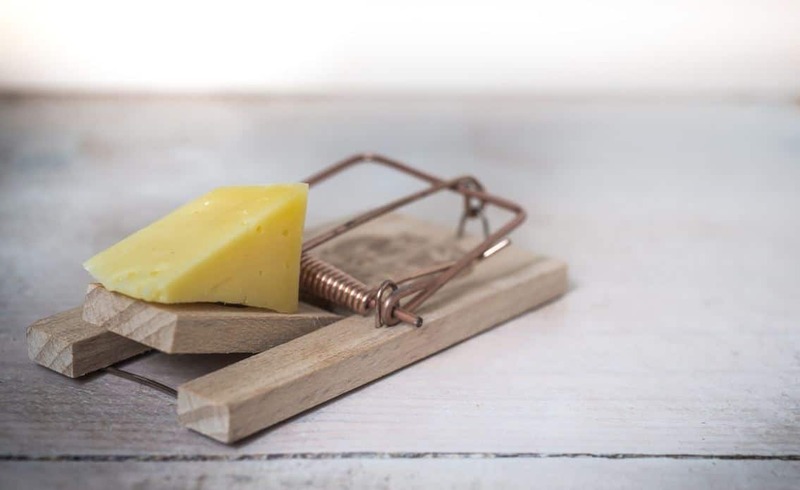 Whether you choose a trap that kills them when triggered, or one that traps them live, both are easy and effective solutions to a rodent problem. Poisons are another option, though if you have children or other pets, you may want to stay away from these. Preventing rodents from entering your home is really the most important step when dealing with them. Installing things like weather stripping under doors and windows, patching cracks in the foundation and covering any holes from the outside with metal screening will help prevent them from getting in. You can also do some things to make your home seem less appealing to them. Keeping backyard weeds trimmed, keeping your compost in a sealed container, storing food in tightly sealed bins and removing any outside water sources all help to make them feel less welcome around your home. At Halton Wildlife Services, we're here to help control the rat and mice population! Living in Burlington and Oakville means, unfortunately, a thriving rat population. always here to help! Having rodents make themselves at home on your property can seem like a disaster, but if you know what to look for and how to handle them, this type of infestation can actually be controlled pretty easily. If you’re struggling with getting rid of rats or mice, contact us to see how we can help you get it under control!